Geordie, thanks for the feature in the Christian Theme Artwork Group. 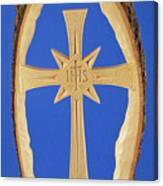 This Woodland Cross was created in a slab of basswood (Linden) which was cut from the tree on the diagonal, which gives it an unusual grain; not end grain and not side grain. 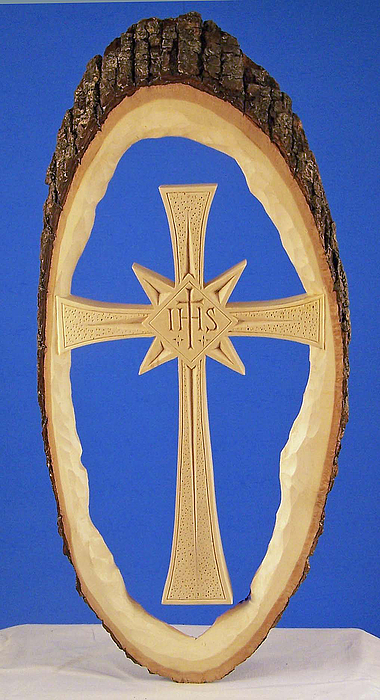 The edge is framed with the natural tree bark and the cross and surrounding wood and bark are all one natural piece. 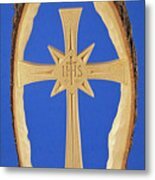 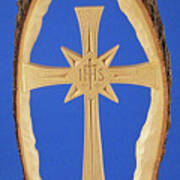 This cross was created in basswood(Linden) in my studio in Poplar Bluff, MO.